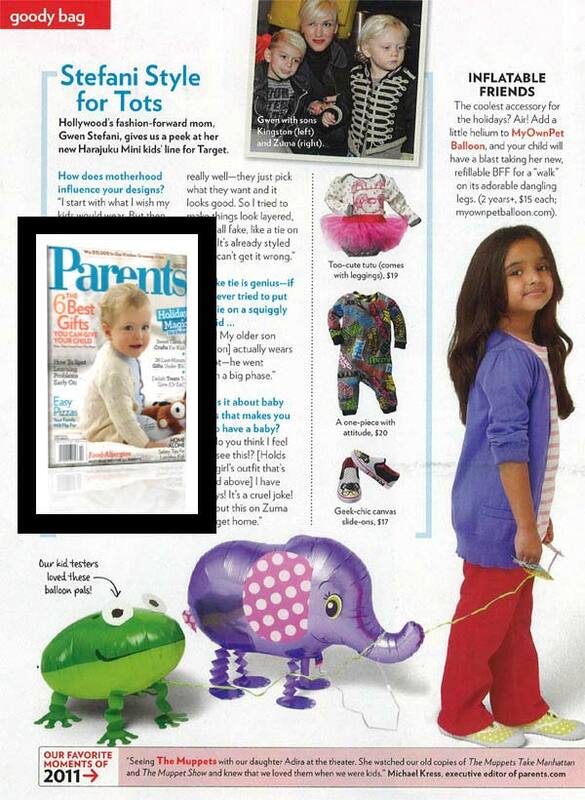 Parents magazine as one of the coolest accessories for the holidays! ? ?With MyOwnPet Balloons, the article declares, ?your child will have a blast taking her new refillable BFF for a ?walk? on its adorable dangling legs. ?